In north-eastern Nigeria, humanitarian crisis arising from violent attacks on civilians by Boko Haram since 2009 has directly affected more than 14 million people in Adamawa, Borno, Gombe and Yobe States. More than 2.2 million people have fled their homes and 7 million people are estimated to be in need of humanitarian assistance. In view of the severity of the situation, UNICEF declared Nigeria as Level-3 emergency in August 2016. The activation of L3 necessitates Results Based Monitoring of the humanitarian response, i.e., measuring progress against agreed high frequency indicators and targets; assessment of the quality of response; identification of implantation constraints; and feedback from the affected populations about access, relevance and timeliness of the response. The office has established a system for Humanitarian Performance Monitoring (HPM) which needs to be sustained by a dedicated humanitarian performance monitoring specialist based in the Maiduguri Field Office, Borno State, Nigeria. To provide overall technical guidance to the programme sections on monitoring; and specifically manage the rolling out of the Humanitarian Performance Monitoring (HPM) system in the North-East of Nigeria and ensure all the UNICEF program sections receive regular data/information on the progress and quality of UNICEF's humanitarian response in the form of periodic reports and other channels as may be necessary. Manage a team of National monitoring consultants, and ensure tools and approach are uniformly implemented across the team. Ensure application of the tools and workflows to collect data needed for monitoring results from UNICEF's response, including with a view towards reporting for HAC, HRP, SitReps and donor updates. 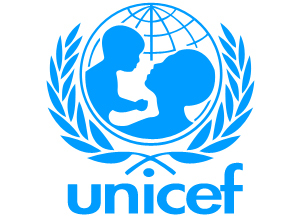 Strengthen capacity of UNICEF partners and 3rd Party consultants working for UNICEF in monitoring results and quality of humanitarian response and facilitate capacity strengthening of the UNICEF team on humanitarian planning, performance monitoring and needs assessment. Work closely with emergency team in the CO and programme sections in Maiduguri office to strengthen field monitoring (adjusting tools to changing needs; deployment of teams; follow up on key actions; training of field teams) as a systematic approach to get feedback on quality of services, bottlenecks in implementation; equity of use/access; and unintended negative impacts and follow up to track and ensure that the information generated is used by the management for corrective actions. Provide technical support to any inter-agency assessments, surveys and evaluations, especially for UNICEF led sectors as part of Inter-Agency Humanitarian Response Plan (HRP) and any other initiatives aiming to collect data on the situation of women and children. Work closely with programme sections to collect data for periodic SitReps on the situation of affected populations reached by UNICEF and needs/gaps based on programme implementation monitoring reports by UNICEF partners and field monitoring report by UNICEF consultants. Any additional tasks that may be assigned to him/her related to the emergency response in the CO, as agreed by the Chief of M&E. Fluency in English (verbal and written) is essential and ability to speak local language (Hausa) will be preferred.